The Preeminent Southeastern Cyber Security Conference for Business and Industry has announced the Keynote Speakers for its Third Annual Conference. Cybersecurity is everyone’s business in today’s fast-paced IT-based society. This conference is for CISO’s, CEO’s, senior executives, managers as well as technical experts and network/system administrators. 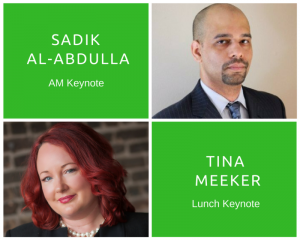 Our keynote speakers, program sessions and exhibitor demonstrations speak directly to issues critical to supporting cyber security at all levels in our increasingly interconnected world.